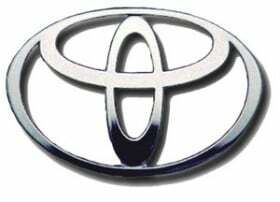 Toyota Motor Corp. is looking beyond hybrids. The world’s largest automaker plans global sales of a few thousand units of its hydrogen-burning fuel cell by 2015. The reason sales will be limited is because of the futuristic vehicle's anticipated high price. "We could expect a fuel cell vehicle to retail at about 100,000 euros in Europe," said Toyota Europe Vice President for Product Planning & Marketing Alain Uyttenhoven. Automakers are preparing to offer a vast array of green technologies to help them meet tougher EU emissions rules that will require the average CO2 from cars to be 130 grams per kilometer by 2015 and perhaps as low as 95g/km by 2020, down from about 146g/km last year, according to data from JATO Dynamics. "We see pure battery-powered vehicles to be just a solution for small trips in the city, while a plug-in gasoline-electric hybrid is the best solution both for weekday urban commuting and weekend trips," he said. Next year, Toyota will begin sales of the plug-in hybrid version of the Prius, which can travel 23km in pure electric mode compared with just 2km for the non-plug-in Prius. "Our research shows that more than 80 percent of urban daily trips are less than the 20km," Uyttenhoven said. Toyota has not announced the price of the plug-in Prius, but the company did reveal that it would cost about 7,000 euros more than a comparably equipped standard Prius, which starts at 27,750 euros in Germany.